An absolute cracker of an album ANNNNNNNDDDDDDD ... the only good one they made. same, albeit there's a couple good songs on this one. That novelty band from leaving cert, it seems they're still on the go! Loved this album since I was maybe 11? Which makes sense as musically it's basically nursery rhymes. Faultless, 10/10. Top shelf rock music. 5/5. Even though Holiday isn't a great song and Only In Dreams is too long. 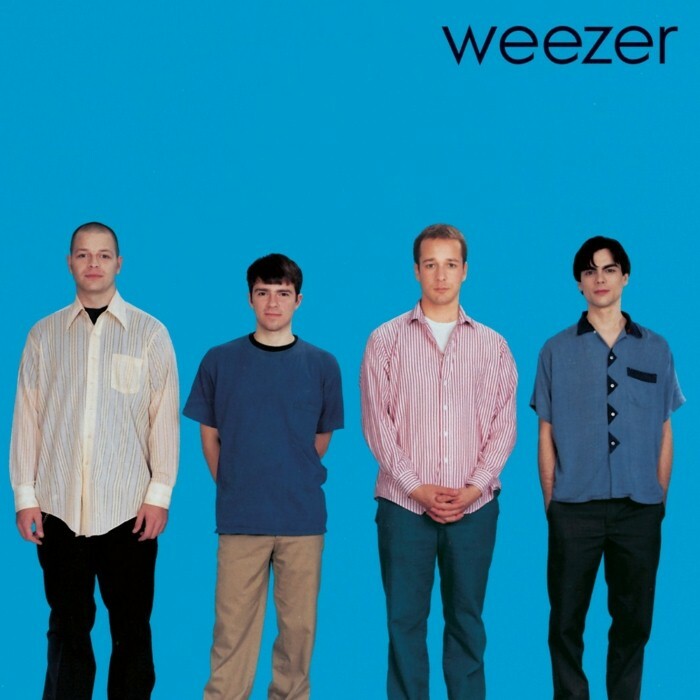 This is the weezer album our kids connected with even though we'd have given this just as much car airtime as the others. If was only in CTY a few years ago that our son even heard about the "first two albums only" divide! My point is that there IS something very special about the songs and the sound of this album. I'm wondering if I'm even capable of listening without bias here. I'd class it more pop than rock. this is 92/93 and Nirvana has happened and labels are mopping up bands with long hair and four chords as much as a couple of VV's and a synth is a popular deal these days. By the time this came out rock music was pop, this is the only reason we've heard of these lads. This guy kinda comes across like some kind of record executive who has possessed a songwriter. The singles are pretty good but if I was told i'd never hear them again i'd not mind too much. i'll try it out though i'm kinda crooked tree on this band from the offset. When you listen to the Green album you realize just how much heart this album has. I still love Pinkerton, probably just as much. Also, probably a really unpopular opinion but Island in the Sun is my favourite song of theirs. No bad thing really. I still love this album and think it's pretty much faultless. I have to admit that it is kind of 1 of those albums that I probably don't need to hear again to a certain degree because pretty much every note from it is etched in my head. I have no problem with it either,I no longer own it,but it's a good record. Not really,I only had it on cd,and bought it at when working in hmv ,so it got played to death even then. I'd probably still own it had I originally had the lp. I own this on CD. Probably from back in the CDWOW days where you could get CDs 7 euro but the case would always be a bit broken when they arrived. But this one was some kind of superdeluxe edition with a nice soft plastic case on it. I'd say I ripped it to disk to put on my ipod. I doubt I've played it since. Doubt I listened that much on my ipod either. I have no problem with it. Its just not my bag. I did love that Buddy Holly video though. Never quite got the link between Fonzie and Buddy Holly, but it was still great. It's a great track, as is Hash Pipe. I remember being surprised at how weak the album was compared to the singles. I still mostly love Maladroit, but in a very different way to blue and pink cos it sounds like them having unedited fun. Yeah, there's a lot of great stuff on Maladroit. also, weezer and wheatus used to be very interchangeable in my mind back then.